Rooms from $51.20 per night. Description This Darien, Georgia hotel has an outdoor pool and non-smoking guest rooms. This hotel is also pet friendly. Wi-Fi is free at the Econo Lodge Darien which has a seasonal outdoor pool and a pet-friendly attitudes. 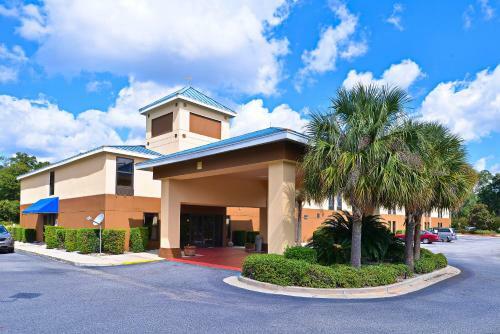 The two-story Econo Lodge offers 56 rooms each equipped with free Wi-Fi and a flat-panel TV. In the warm months guests beat the Georgia heat in the seasonal outdoor swimming pool. Laundry facilities are available and the front desk is staffed around the clock. Pets are permitted and parking is free. 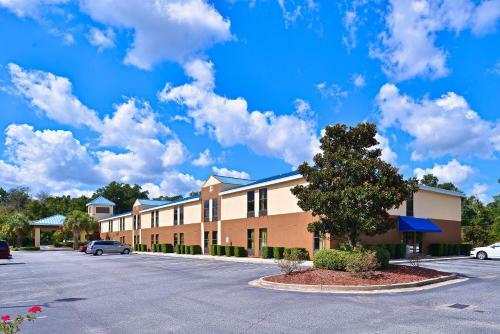 Off I-95 between Savannah and Jacksonville the Econo Lodge Darien is a two-minute stroll from the Darien Outlet Center. In addition to shopping there are plenty of fast food options surrounding the hotel. Downtown Darien has other choices five minutes away by car. Historic Hofwyl-Broadfield Plantation and Fort King George are less than 10 minutes from the hotel. Other nearby sights include the peaceful Wolf Island National Wildlife Refuge an hour away and the beaches of St. Simons Island a half-hour drive. Savannah/Hilton Head International Airport is 57 miles north. 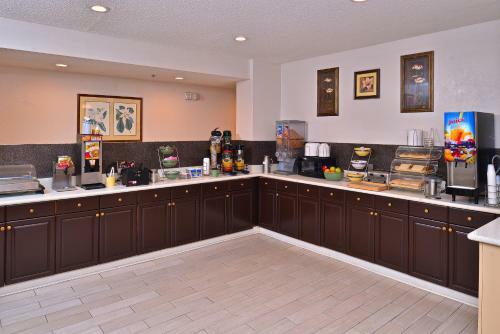 Add Econo Lodge Darien to your free online travel itinerary.